Looking to upgrade your woodland fairy look this Halloween? Preen by Thornton Begrazzi has got you covered. 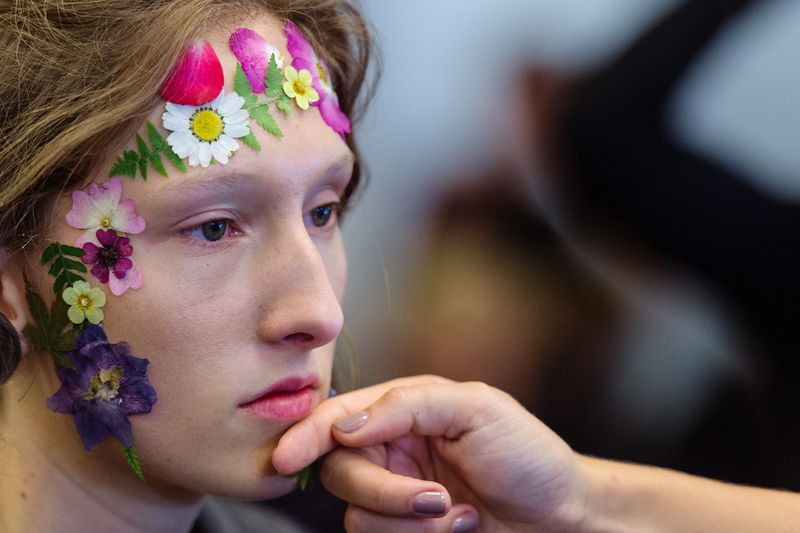 At the designer's London Fashion Week show in September, models came down the runway with full faces of appliqué flowers that were equal parts feminine and out-of-this-world cool. So how can you get your own face flowers for Halloween? According to @MACCosmeticsUK's Instagram, makeup artist Val Garland used MAC Mixing Medium Shine to create a smooth, sticky palette on the models' faces, then used MAC Duo Adhesive to place the faux flowers on their skin. The results were incredible works of art that pretty much stole the show during London Fashion Week, which is pretty much what Halloween dreams are made of. To achieve the look on your own, you can apply your face and eye makeup as usual, then use the glue and a pair of tweezers to individually place the flowers wherever you'd like. At the Preen Show, models wore them everywhere from their eyes to their lips to up and down their arms, so you can really get as creative as you'd like. Whether you're going as some sort fairy princess or as an IRL bouquet of flowers, I can pretty much guarantee that people will be stopping you all night to ask "how did you do that?!" To really make a statement, use the flowers all over your body. One final tip: If you're going with floral lips... make sure you're drinking your pumpkin-spiced cocktail through a straw. Apply this colorless wax to the parts of your face where you'll want the flowers to stick. Using tweezers, put this adhesive on the back of each individual flower. Separate the flowers and stick them to your face. Hold for 10 seconds to secure.